Rock Star Tri: My journey back to the endurance world frequently interrupted by life : I'm in? That is GREAT......not just good! Yes, definitely good. 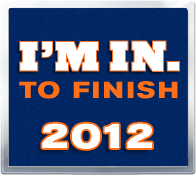 Have you run NY before? It's uber fun.... until about 5th Avenue headed toward the park, anyway! In it to finish it! Good call.